Until recently, fiber was considered a necessary part of everyone’s diet mainly because it promoted intestinal regularity. Lack of enough fiber could cause constipation — nothing more. But medical researchers have begun to find additional important reasons for including in everyday meals enough foods that are high in fiber. Recent evidence points to the possibility that a low-fiber diet may be a factor in the high incidence of certain illnesses, among them cancer of the colon, in highly developed countries like the United States. Of the illnesses now associated with low-fiber diet, evidence relating it to cancer of the colon is the best documented. A British study found this type of cancer to be extremely rare among rural Africans who eat large amounts of unrefined (whole grain) cereals and grains, and fresh fruits and vegetables—all high-fiber foods. Others in the same country who eat the traditional Western diet, which is high in meat and refined flours and sugars, all low in fiber have a higher incidence of the disease. The study’s conclusion: Because low-fiber foods move so slowly through the digestive system, any cancer-causing agents have a longer time to react with the colon—and to cause cancer. Is there a connection between fiber and heart disease? The evidence connecting fiber and heart disease is less direct but nonetheless attracting medical attention. High blood-cholesterol levels have been related to a high incidence of heart disease. Since it is also known that a high-fiber diet increase excretion of cholesterol from the body, the possible conclusion is that any diet reducing cholesterol levels should also help prevent heart disease. 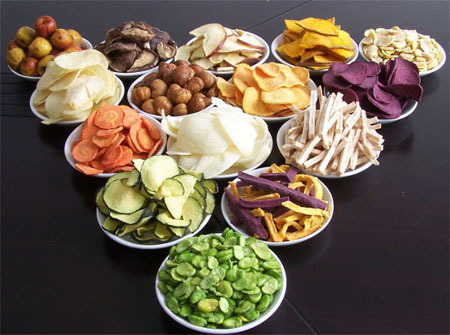 In any case, high-fiber foods, which are all from vegetable sources, are low in fat, and many are also low in calories. Presumably, the more you eat of these foods, the less you’ll be indulging in the high-fat or high-calorie foods that contribute to overweight which in turn, could result in the increased likelihood of heart disease. High-fiber foods also may be helpful in forestalling gallbladder ailments by helping to metabolize the bile salts needed to digest fat. It has been shown; too, that fiber in the diet, by speeding the normal emptying of the colon, alleviates the symptoms of diverticulitis, an abnormality in the intestinal tract. What are the high-fiber foods? While there is no cause-and-effect evidence that high-fiber foods can actually prevent or cure these serious illnesses, the research now at hand makes a convincing argument for including adequate foods in your everyday meal planning. Breads and cereals made with whole grains and bran. Vegetables with crunchy texture when eaten raw or cooked till tender-crisp—corn, cabbage, cauliflower, broccoli, etc. Tuberous root vegetables like beets, carrots, sweet potatoes. Fruits and vegetables with edible tough skins and seeds such as blackberries tomatoes, summer squash, potatoes. Legumes like green beans, peas, dry beans, lentils. Nuts and seeds of all kinds. There is no definite rule, but try each day to have about eight servings of foods that contain some fiber—that is, most fruits and vegetables as well as wholegrain breads and cereals. One easy way to be sure you’re getting enough is to eat a normal well-balanced diet and include a daily serving of cereal. And start a collection of recipes that give you a chance to use the high-fiber foods in appealing new ways.